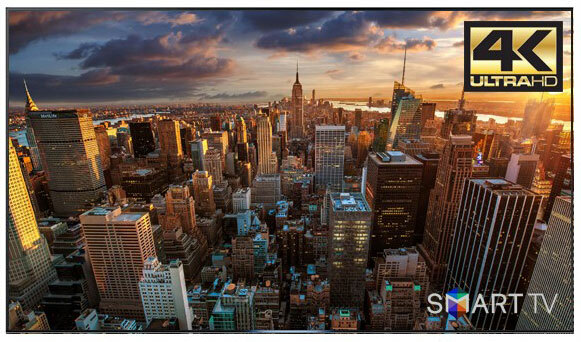 MirageVision Platinum Series UHD TVs are custom altered, high-technology, name brand donor Smart 4K TVs. These models have been equipped with their proprietary software-driven, internal video processor/scaler (MVVP) that enhances the TV's brightness, color, sharpness, contrast, image depth and picture clarity. These alterations give their Diamond Pro Series the best possible picture image when used in outdoor direct sunlight viewing. This TV has been custom altered for OUTDOOR USE, which includes: sealing of cabinet, rear guard breath vents, moisture resistant internal circuitry, water resistant input cabinet, enhanced backlight and contrast (for increased brightness/visibility outdoors), and UV sealer on outside cabinet. *Specifications (including exact contrast ratios, cabinet and screen sizes and donor brands) are subject to change due to donor brand model upgrades changes. Please contact us if you have questions about current inventory specifications, screen sizes, outer cabinet dimensions or donor brand. 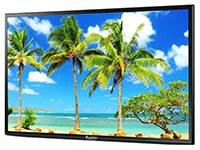 **Pictures of MirageVision TVs represent previously produced product. Current models and inventory may look different than the TV shown above. Exterior TV enclosure colors may vary, however silver is the most typical color.